Lynndy is a Legal Manager at LC Lawyers LLP. She obtained her Master of Laws from The Chinese University of Hong Kong. 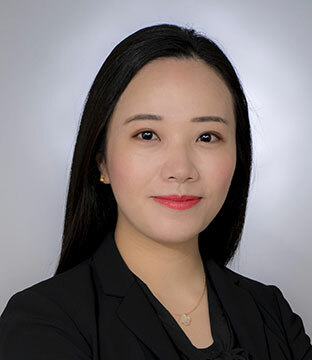 Prior to joining LC Lawyers LLP, Lynndy worked in the Hong Kong office of a US-based international law firm for more than three years. Lynndy has experience in initial public offerings, regular compliance matters for listed companies in Hong Kong, mergers and acquisitions involving listed and private companies, and capital market fund raising activities. Over the years, she has regularly served several listed companies on corporate governance matters, including compliance with the Hong Kong Listing Rules, Takeovers Code, and the Securities and Futures Ordinance. Lynndy is fluent in English, Mandarin and Cantonese. Assisted the sole sponsor in an approximately HK$626.4 million initial public offering of a building construction Company on the Main Board of the Hong Kong Stock Exchange. Assisted the sole global coordinator and other underwriters in a US$22 million global offering and H-share IPO of a PRC construction company on the Main Board of the Hong Kong Stock Exchange. Assisted the underwriters in a US$50 million global offering and H-share IPO of one of the largest licensed microfinance company in Deqing on the Main Board of the Hong Kong Stock Exchange. Assisted one of the largest licensed microfinance company in Fujian Province in its US$38.7 million initial public offering on the Main Board of the Hong Kong Stock Exchange. Assisted a well-established plastic mould company in the PRC in its approximately HK$77.6 million initial public offering on the Main Board of the Hong Kong Stock Exchange. Assisted several listed companies in relation to their compliance matters under the Hong Kong Listing Rules and other corporate governance matters.